Last year, fans of the Netflix drama Better Call Saul witnessed the dramatic death of a major character in the season finale. Jaw-dropping deaths have long been a hallmark of both BCS and its predecessor Breaking Bad, but at the start of this year’s new season of BCS, we got to see something new and exciting: what happened with that character’s Will, and what estate planning arrangements had the character made before their gasp-inducing demise? Some of us need to know these things. The series skipped over one of my favourite bits of legal pageantry from American TV & film, “the reading of the Will”. That is not part of practice here in Scotland. While the content of a person’s Will does sometimes come as a surprise to their family, that news is rarely delivered first-hand by a waistcoat-clad lawyer, pausing to peer over their half-moon reading glasses at moments of high drama. Instead, BCS cut straight to a heated conversation between the duelling lawyers involved with the estate. It was noted that the wealthy deceased person had left a close family member a paltry $5,000, and that this was a calculated move by the deceased in order to avoid that family member from being able to contest the Will. As one of the lawyers described, this was effectively “a screw you from beyond the grave”. Would this work in a Scottish estate? Despite popular perception, “challenging” a Will is actually very uncommon. Mostly because it is difficult to do, and the legal grounds for challenge fairly limited – generally restricted to situations where the deceased person was not mentally capable when they did the Will, or where another person was exercising ‘undue influence’ over the deceased at the time. Those cases are not unheard of, but the fact is that these things usually occur behind closed doors, so evidence can be hard to come by after the event. And the mere fact that you disapprove of what the deceased person said in their Will is not a reason for challenge. If the Will cannot be challenged, then the only people who have further options are the deceased’s surviving spouse or children (and sometimes grandchildren). All other “disappointed beneficiaries” just have to like it or lump it. The spouse and children then have the option of making a claim for “legal rights” in the estate. This is a claim for a fraction of the deceased’s “moveable estate” (i.e. excluding land and houses). The size of that fraction will vary depending on how many other relatives are able to make such a claim. In some cases, a person’s claim could be for up to half of the moveable estate while in others it might be for a much smaller fraction. Importantly, making a legal rights claim is not a “challenge” to the Will, as the remainder of the estate will still pass to the beneficiaries named in the Will. Undoubtedly a legal rights claim can seriously disrupt the deceased person’s plans, but in other cases, it can make very little difference at all. There are a number of ways that the person can limit the value of such claims with a bit of forethought. It goes to show that there is much more to successful estate planning than just having a Will in place: it is essential to consider what claims for legal rights there could be following your death and whether those claims would pose a problem. This is particularly important in delicate family situations, including where there are “black sheep” children, or simply where you have children from past relationships whose needs have to be balanced against those of your new partner or spouse. The situation is magnified where you have a significant “moveable estate”, which is often the case with business owners, those with healthy savings & investments, or those who have sold a heritable property and do not plan to re-invest in replacement property. So in many cases, the Albuquerque $5,000 method would have less of an impact in Scotland, and that may come as a real blow to the deceased’s preferred beneficiaries! It can be a complicated question, and so taking proper legal advice is a must. 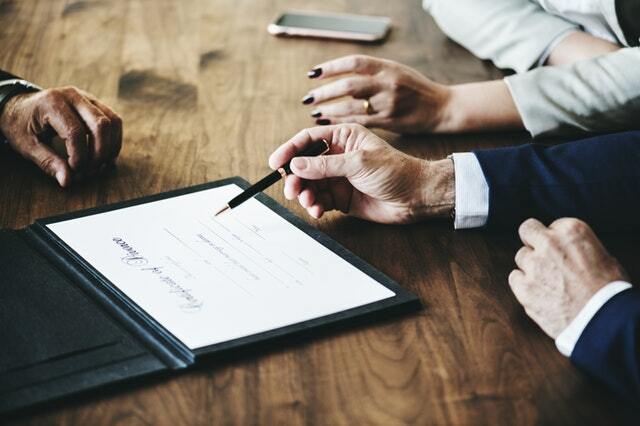 The Private Client team at Blackadders is hugely experienced in handling the preparation of Wills, as well as in helping clients to put effective estate planning strategies in place. “Elder Law” is also a speciality! The opinions expressed in this site are of the author(s) only and do not necessarily represent the opinions of Blackadders LLP. Blackadders takes all reasonable steps to ensure that the content of this site is accurate and up to date. The site is not, however, intended as a substitute for seeking legal or other professional advice but rather as an informative guide to the services provided by Blackadders and topical legal developments. Site visitors should always seek advice tailored to their specific situation. Consequently, Blackadders accepts no responsibility for any loss or damage suffered by anyone acting or failing to act on the basis of information contained on this site. Downloading of material contained on this site is at the user’s own risk and all necessary virus checks must first be carried out by the user. Blackadders is not responsible for the material found on any web sites linked to this one and links to this site may only be made with Blackadders prior consent. Blackadders owns the copyright in this blog and all material contained on it. The material on this site may be downloaded for personal use only and must not be altered. Otherwise, Blackadders’ written consent is required before any material on this site is reproduced, copied or transmitted in any way. Information passed to us via this site is kept confidential and will not be disclosed to third parties except if authorised by you or required by law. Members of the Law Society of Scotland. Authorised to conduct Investment Business under the Financial Services & Markets Act 2000 by the Financial Services Authority. Blackadders Solicitors is a trading name of Blackadders LLP, a limited liability partnership, registered in Scotland No SO301600 whose registered office is 30 & 34 Reform Street, Dundee, DD1 1RJ. Reference to a ‘partner’ is to a member of Blackadders LLP.